Six months in, revenue has increased by 16 percent even though traffic has dropped by 4 percent. 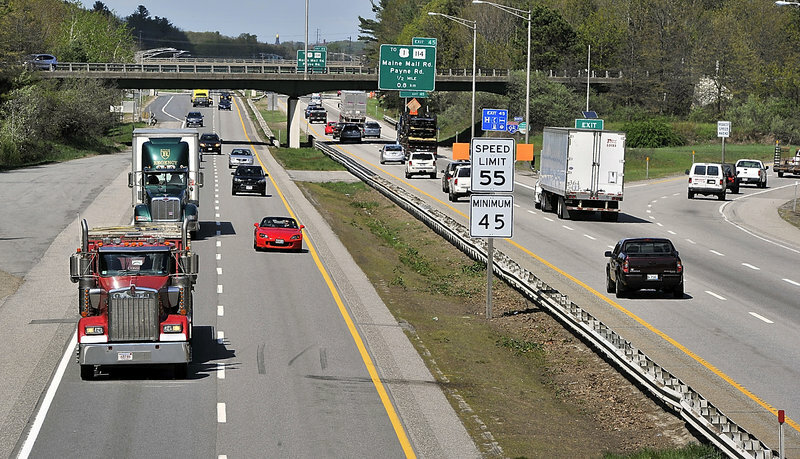 In the first six months since the Maine Turnpike Authority increased tolls at various spots along the 106-mile highway, revenue increased by 16 percent even as the number of cars on the turnpike dropped by 4 percent. During the same period, the authority signed up more than 17,000 new E-ZPass customers to go with the 192,000 who held E-ZPasses before the toll increase. About half of them joined online, an option not previously available. That brings the total number of E-ZPass holders to about 209,000, or 1 in 6 Mainers. The numbers suggest that the authority’s decision to raise tolls — an unpopular move that motorists complained about loudly last year — is paying off. Barely. “We are raising the revenue we need, but not much more,” Maine Turnpike Authority Director Peter Mills said. A closer look at the falling numbers of cars on the turnpike also suggests drivers are avoiding the turnpike in order to bypass the fee increases in some areas, although officials expect that drop to be temporary. At the New Gloucester toll plaza, for instance, the number of vehicles going through has dropped by more than 10 percent from January to April this year, compared to the same period last year. At the York and West Gardiner toll plazas, the drop has been more than 5 percent. From November 2012 through April 2013, the turnpike took in $51.7 million in revenue, or $7.2 million more than in the same six-month period the previous year. It still needs to raise an additional $14 million over the next six months to meet expenses, but turnpike officials are confident they will be able to hit that number, given the fact that many more travelers come through Maine between Memorial Day and Labor Day. In each of the last five years, the turnpike has taken in an average of $13.6 million more between May and October than it does between November and April. Part of the reason the revenue margin is thin so far is the volume discounts for the heaviest users of E-ZPass that were included when the toll increases took effect on Nov. 1. Those discounts, which have benefited 36,000 customers, or about 17 percent of all E-ZPass holders, so far have amounted to another $3 million in revenue that could have been raised during the last six months. Joe Thibeault, who lives in Saco and commutes to Portsmouth, N.H., every day, used to pay about $60 a month on the old commuter plan. Now, he said he pays between $70 and $80, after applying the 50 percent volume discount. Corey DeWitt of Kennebunk, who also travels to Portsmouth to work, said he and his wife benefit from the volume discount, but DeWitt said he’s still concerned that if turnpike revenues remain tight, the first thing officials will look at is ending the volume discounts. When the volume discounts were approved last fall, officials had thought they would be temporary. Now, turnpike officials and board members are hopeful that they will be permanent. 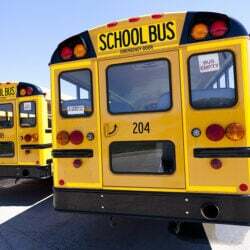 “It’s subject to review in June, but it looks like we’ll be able to leave it in place, which is great,” said board member James Cloutier of Portland. The Maine Turnpike Authority operates entirely on tolls and other revenue such as concessions. It receives no taxpayer money but does contribute 5 percent of its revenue to the Maine Department of Transportation. For many years, ridership on the turnpike increased steadily by an average of 2.5 percent to 3 percent every year. Revenue increased at a similar rate. That changed in 2008 when the economy soured and gas prices soared. Ridership and revenue flattened, then started to decline. Expenses, however, kept escalating. The turnpike’s annual operating budget, including its debt, is now about $130 million. Toll revenue before the toll increase was slightly more than $100 million. Last June, the authority announced that it was looking at options for increasing tolls, which it needs to pay operating expenses that include ongoing repairs, regular maintenance and historical debt. Much of the debt is associated with a $135 million widening project more than a decade ago. After a series of public hearings and some changes to the initial plan, the authority’s board voted last August to approve toll increases that it projected would generate an additional $21.4 million in revenue each year. The toll increases, the 12th in the turnpike’s 66-year history and the first since 2009, took effect on Nov. 1, 2012. Cash tolls increased from $2 to $3 in York, from $1.75 to $2.25 at the New Gloucester plaza, from $1.25 to $1.75 at the West Gardiner plaza and from $1 to $1.50 at the northbound exit in Wells and the southbound exit in Gray. 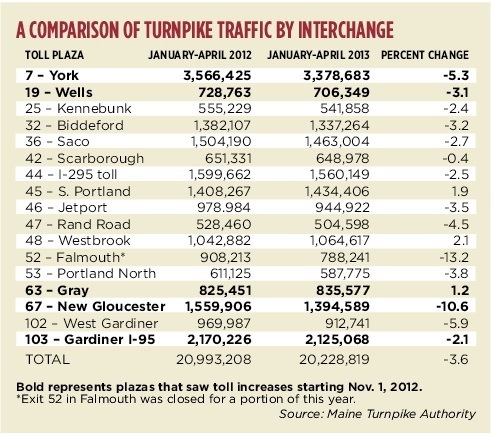 In addition to the toll increases, the turnpike did away with its popular commuter program. To offset the potential impact and to steer more motorists toward the E-ZPass program, the authority limited the rate increase for E-ZPass users to 1 cent per mile and instituted a discount for the most frequent users. Motorists who make between 30 and 39 trips per month get a discount of 25 percent and those who make more than 40 trips in a month get a 50 percent discount. The turnpike authority also lowered from $25 to $10 the cost of an E-ZPass transponder that tracks mileage. It also began allowing consumers to buy E-ZPass memberships online. The goal, Mills said, was to make it easier for Maine residents to become E-ZPass users and be able to offer volume discounts, if possible. Sen. Dawn Hill, D-Cape Neddick, whose constituents were hit hardest by a $1 toll increase in York and a 50-cent increase in Wells, said the outrage over the hikes has calmed down. Rep. Wayne Parry of Arundel, the lead Republican on the Legislature’s Transportation Committee, agreed that the issue of equity is still a problem for many turnpike users. “I think people who drive 25 miles should be charged the same no matter where those 25 miles are,” he said. 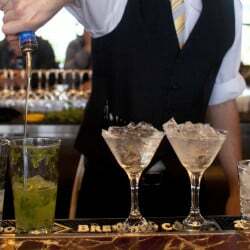 Many users like Thibeault and DeWitt, who feared that they would have to pay significantly more, have discovered that the increases have been negligible. Others who have taken advantage of the volume discount now pay less. Brian Parke, president of the Maine Motor Transport Association, which represents commercial truckers, said his members are always wary of anything that cuts into their bottom line, whether it’s toll increases or a spike in gas prices. “I think we have a lot of people who aren’t exactly happy about paying more, but they recognize that it’s still the safest and most convenient route in many cases,” he said. Although the overall traffic decreased by only 4 percent, an analysis of traffic by toll interchange suggests that motorists took steps to avoid some of the toll plazas that had increases. Comparing January to April 2012 to the same period this year, the number of vehicles that passed through the York toll plaza decreased by 5.3 percent. During the same period, the number of vehicles at the New Gloucester toll dropped 10.6 percent and the number at the West Gardiner toll dropped 5.9 percent. Those three tolls saw the biggest drops in traffic and all three had toll increases. Jake Mulligan of Saco said the latest toll increase was enough for him to start avoiding the turnpike altogether. When he goes to Portland now, he takes Route 1. It adds a few minutes to his drive, he said, but he doesn’t mind. He said he doesn’t understand the toll increases, given the fact that he doesn’t think the turnpike is well maintained. 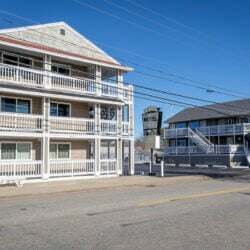 However, the toll plaza in Gray, which also saw a fare increase, had 1.2 percent more vehicles in the first four months of this year than the first four months of 2012. Cloutier, the authority board member, said he thought ridership would have been down even more, given the rough winter. A snowstorm hit the area every weekend in February. “It’s actually good news, because we know those riders who boycotted usually come back,” he said. Hill said she hopes turnpike officials are right about the anticipated increase in traffic coming through York in the next several months. She is concerned, though, that some may see the $3 toll as too high and look for ways to avoid it. If that happens, Hill said, the logical alternative, Route 1, could become gridlocked during the summer tourist season. Andrew Pal lives in Windham and works in South Portland. The turnpike is by far the fastest route for his short commute. He said as long as he meets his 40-trip-per-month minimum and gets the discount, he’s not unhappy about the fare increase. “I think I’m paying a little more, but it’s a manageable amount,” he said. Pal said he’s still a little miffed that turnpike officials were not upfront about doing away with the commuter plan. But he doesn’t think the changes will affect traffic on the turnpike in the long term. Some of the outrage about the fare increases may be attributable to public opinion about the actions of its former director, Paul Violette, who was forced to step down in March 2011. Violette, who led the authority for 23 years, was investigated for theft — mainly in the form of gift cards — from the authority. He pleaded guilty in February 2012 and was sentenced to serve 3½ years in prison. Violette also agreed to pay back hundreds of thousands of dollars to the authority. Since Mills has taken over as director, he has steered the agency back to financial solvency by trimming the budget by 14 percent over the last two years and eliminating dozens of staff positions. But the streamlining still wasn’t enough to avoid a toll increase. If there is a silver lining, Mills said, the latest toll increase should be the last for some time. He said that beginning in 2018, the turnpike’s debt payments will have leveled off and will start to come down. 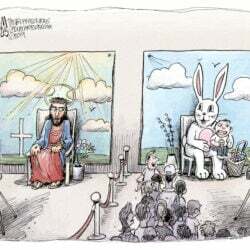 But there are still unknown factors. In a decade or so, another stretch of the turnpike, between Saco and Scarborough, might need to be widened. There also is occasional talk about creating additional spurs to connect growing communities to the turnpike. In recent years, there have been discussions about adding a spur from Gorham to Portland and another from Sanford to Biddeford. Those would both be costly, but they also would allow the turnpike to add another toll plaza to pay for those costs.